The fever is heating up to its peak and it's going to end soon - by 30th of June 2008, there'll be the final match of Euro 2008 between Germany and SPAIN!!! That means it's TODAY!!! Wow... I've been supporting Spain for winning for this whole Euro cup thingy and everything will be decided tonight! Isn't this thrilling and exciting? I didn't watch EVERY match of the Euro cup, but I do read news and match analysis... So I know roughly what is happening during the whole championship thingy. But sometimes I get a little bit confused what's the players name because they look tiny inside the TV, and when the referee blows his whistle. I couldn't really understand thoroughly which kind of fault is suppose to be allow and which is not... But I know I hated some referees which give bias decision and didn't treat the 2 teams equally... It's very obvious!!! Every audience can see it by their eyes!!! But I guess the referee kinda scare to do it tooooo obviously because I've heard Kok Bun said that some referee are like suddenly disappear from the earth... Their existance are unknown... Rumour say they're killed by fans, some say they moved and stay inside the woods... LOL! I will watch the match again at McD Jln Pahang... I just LOVE their newly construct smoking area... They really make the whole McD become nice and enjoyable! No, not that I will sit inside the smoking area and watch the football match for 2 hours+(I'm not that crazy to become a 2nd hand smoker while I am WHAT I am now), I will sit at the non-smoking area with cozy cushioned seat and watch the match. Hehe. I don't know what I will eat tonight, but I know that after this whole thingy ends, it's time for me to rest enough and have to start to prepare evrything for my precious little baby to come out... Hehe~!!! 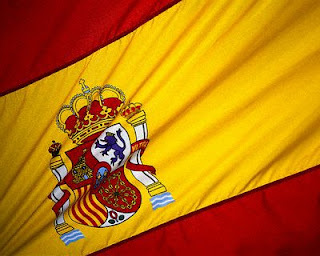 Nice victory over Germany ;) Viva España!!! hehe i was at mcdong dong watching one of the semi final match too. didnt noe tat watching football match at mc dong dong can b so tat HAPPENING! !